The average cost of a new car is about $34,000. Whether your goal is to buy or lease, a vehicle with high retained value can be a solid bargaining chip. The 2018 Honda Accord, Civic, and CR-V aren’t just three good examples of cars with high values; in Edmunds’ 2018 Best Retained Value Awards, they’re also winners in their respective classes*. Models beat out by the Civic, Accord, and CR-V include the Toyota Corolla, Subaru Legacy, and Toyota RAV4. What Makes the Accord, Civic & CR-V Winners? Every winner of an Edmunds Best Retained Value Award has a high projected private party residual value five years after the model’s release. This value is expressed as a percentage of the car’s True Market Value. According to Edmunds, the 2018 Honda Civic, Accord, and CR-V will retain a larger portion of their value for longer compared to other models. So, when you’re ready to sell or trade one in, you’ll get more money back. To give you an idea of the Accord, Civic, and CR-V’s value, we’ve listed the ALG Residual Value % for each model below. ALG, or Automotive Lease Guide, estimates a car’s value at the end of a lease. In today’s automotive market, it pays to shop around for vehicles that offer reduced ownership costs. The 2018 Honda Accord, Civic, and CR-V are three of the smartest options on offer. 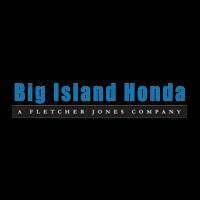 Schedule a test drive at Big Island Honda, located near Kamuela and Waiomea, to find the right model for you! Don’t forget to browse our current lease offers and finance specials for additional savings opportunities.